This is an access method from main transportation to the Uzuhouse. Please feel free to contact us if you don’t understand. 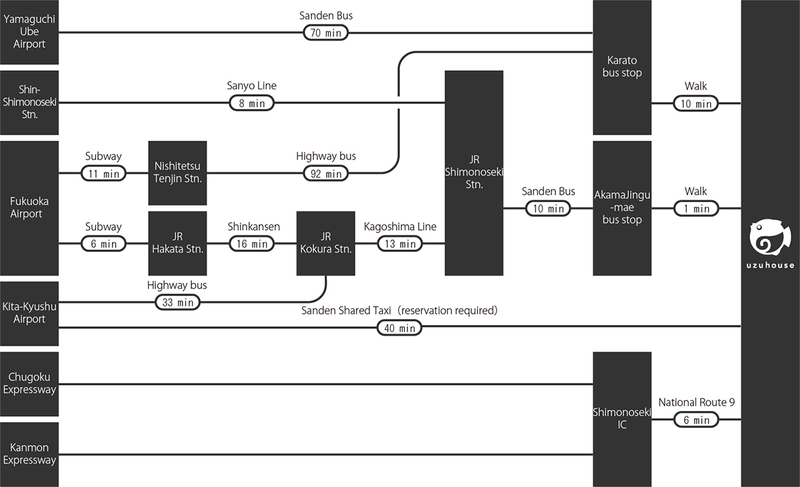 * From Shimonoseki Station to Akama Shrine, take the Sanden bus route number 10 to 26 start from the Sanden bus stop No. 1 or No.2. 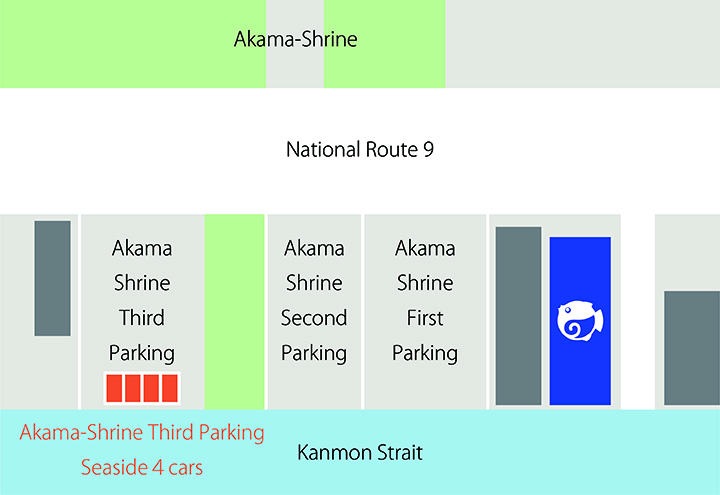 * If you use a cafe, please use the 3rd parking lot (4 cars) of Akama Shrine. A blue corn is a landmark. 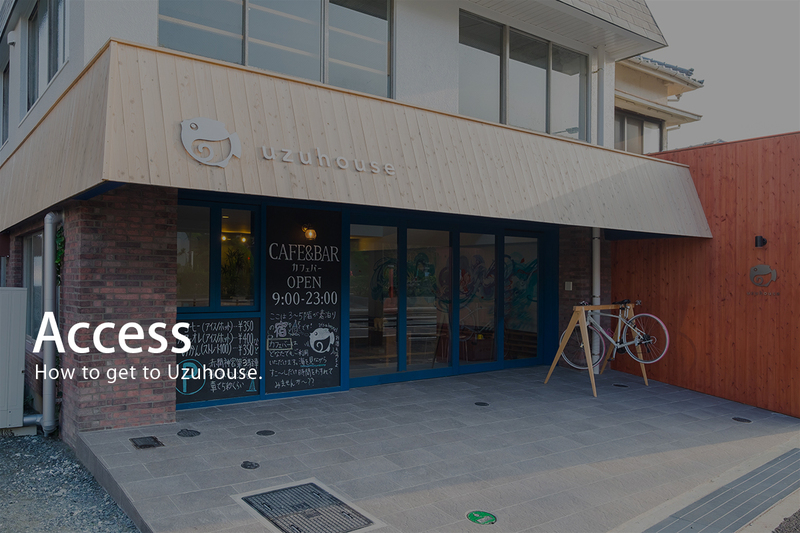 You can also use the Uzuhouse seaside garage for accommodation, so please make a reservation in advance. (C) 2019 uzuhouse | Tourbi Inc.